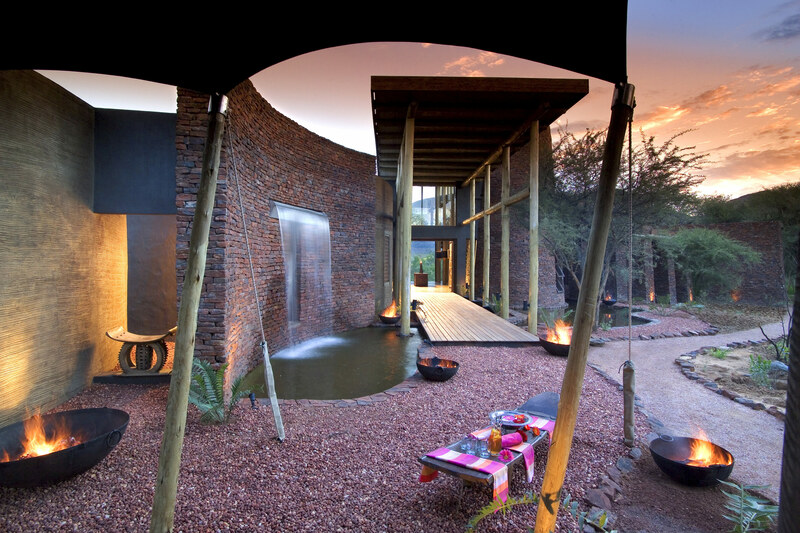 Whether you’re sipping sundowners on the deck of your luxury suite or dining under the romantic flicker of lanterns on the acacia-lined lawn, you will find this spectacular safari lodge spellbinding. 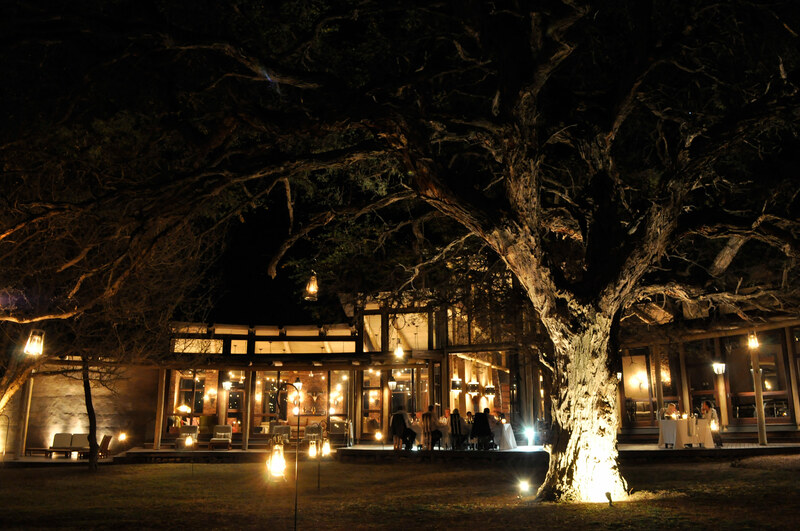 MD of Travel Concepts, Mandi Johnson-Aliverti, is clearly on the mark in describing Marataba as a truly magical wildlife destination – one you will never forget. 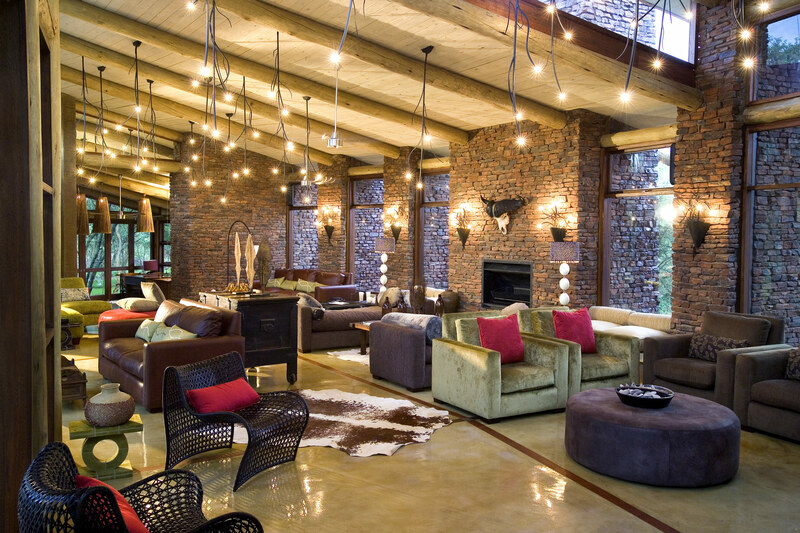 Here’s what she has to say about this incredible safari lodge. 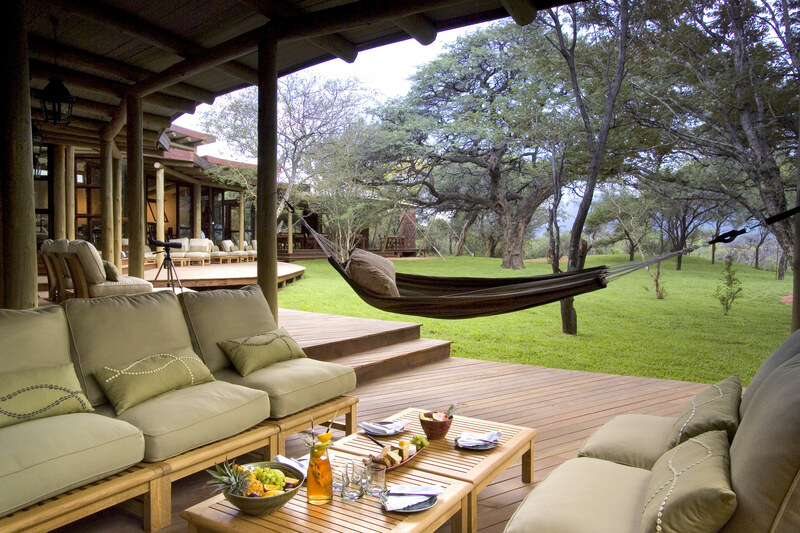 What makes Marataba magical is the abundance of game, the dramatically beautiful landscape and those amazing, unexpected moments when you come face to face with wildlife right on the lodge’s doorstep. 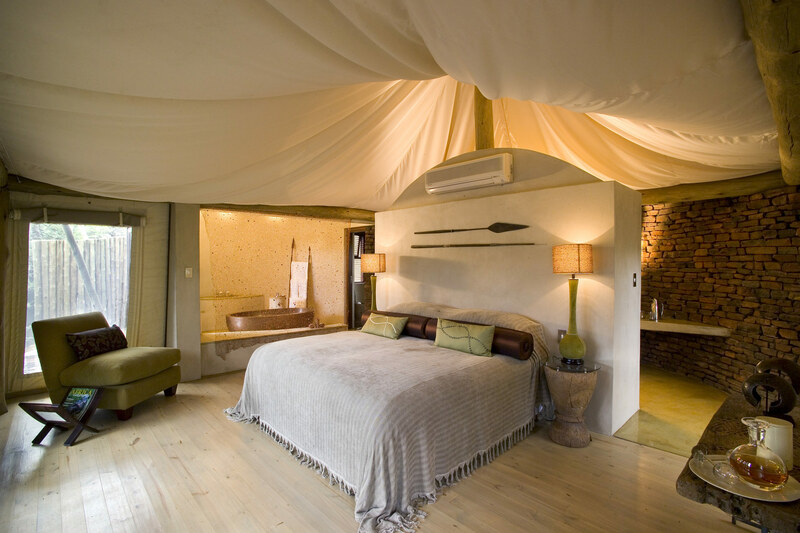 While lazing at the edge of the sparkling pool, it isn’t unusual to see an aardvark sniffing around; later, in the snug luxury of your safari tent, you can hear the grunts and roars of approaching lions rousing you from sleep. 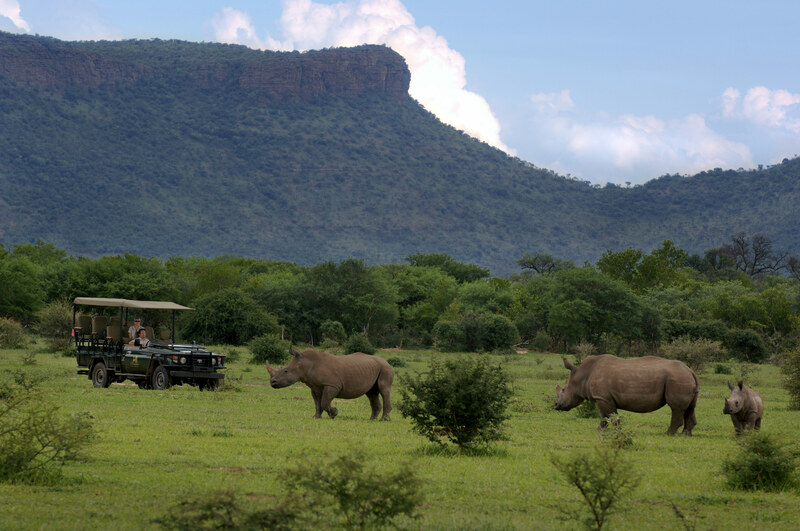 During my game drive, I was lucky enough to see the Big Five. 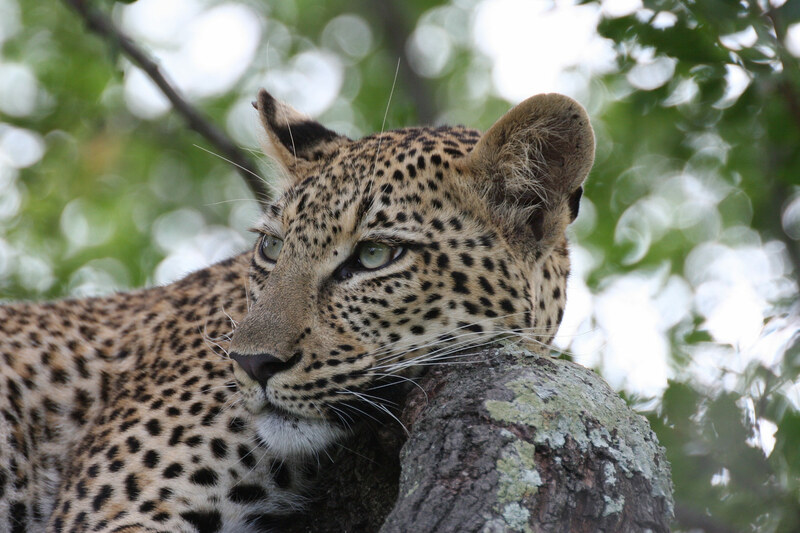 A particularly special moment was when our vehicle stopped just as the sun was setting and a leopard appeared about 20 meters in front of us. 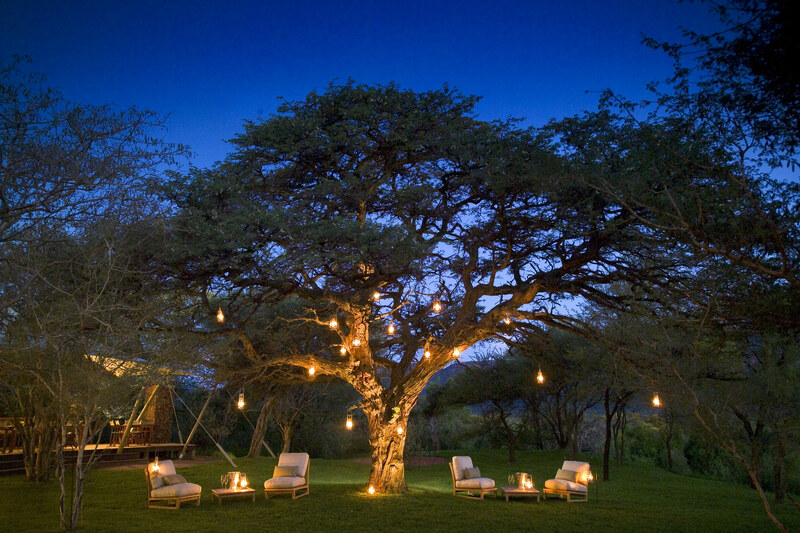 We followed it until the sun set, and then raised a toast to the African bush with G&Ts and happy hearts. 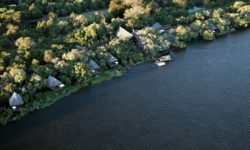 This specific retreat is also unique because of its abundance of water – so plentiful that in summertime, game drivers stop alongside the crystal-clear rivers to allow guests a quick dip in the sweltering heat (provided there are no hippos around!). Being able to jump out of the car into a river in the company of lions, cheetahs, leopards and hippos is a true adrenalin rush! 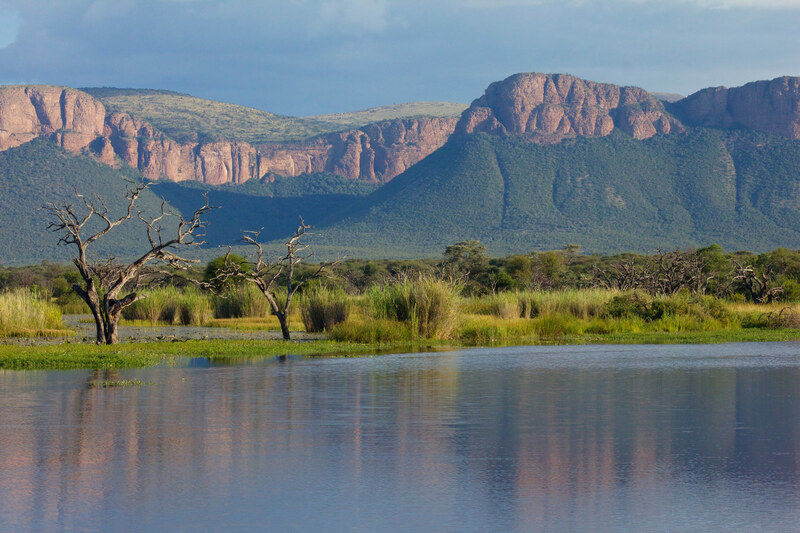 I love the fact that Marataba is malaria-free and only a 300-km drive from Johannesburg. 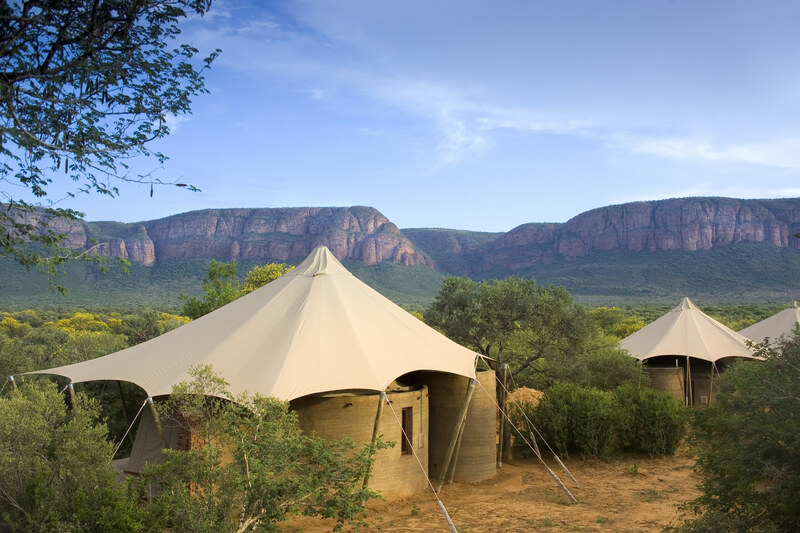 Flanked by the stunning Waterberg Mountains in South Africa’s Limpopo Province and embracing a bush paradise of rolling plains intersected by valleys of riverine bush, Marataba Safari Lodge offers visitors the ultimate wildlife experience. 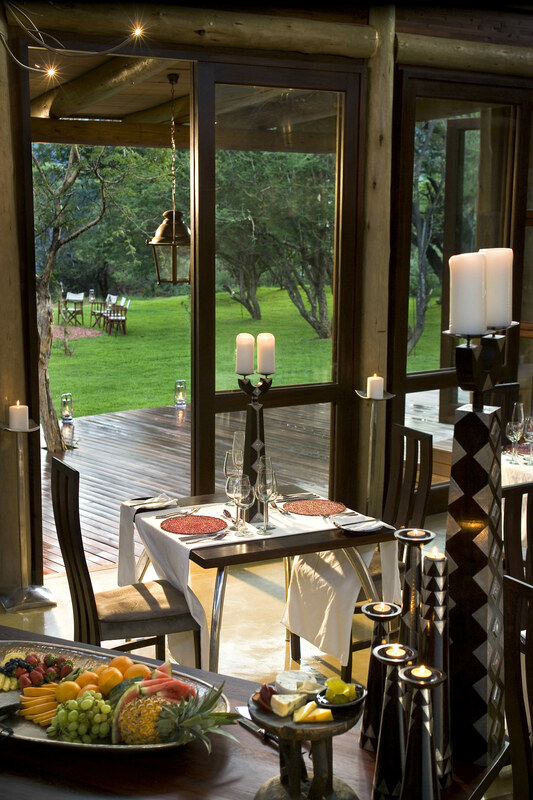 From your private viewing deck overlooking the plains and rivers of Marakele Game Reserve you can sample the tranquillity and sounds of nature in one of Southern Africa’s finest animal sanctuaries. 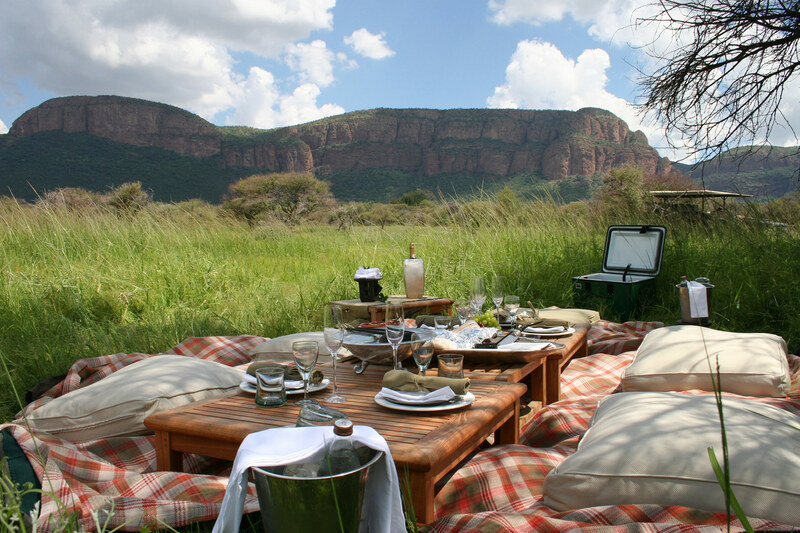 This is Big Five country, a bush paradise for elephants, lions, wild dogs, spotted hyaena, black and white rhino, cheetah and more than 400 species of birds, including the world’s largest breeding colony of the endangered Cape Vulture. 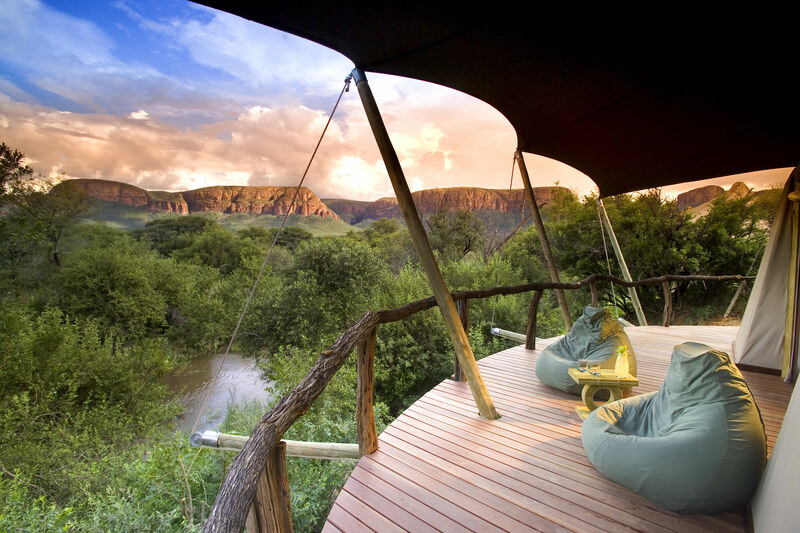 Just over three hours’ drive north of Johannesburg, Marataba is one of the showcase destinations owned by the More family, who provide unforgettable holiday and wildlife experiences throughout Southern Africa. 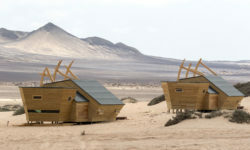 Their portfolio of state-of-the-art destinations includes bush getaways in the Lion Sands Private Game Reserve, Sabi Sand Reserve, Kruger National Park, Madikwe Game Reserve and other sought-after holiday places in Cape Town. 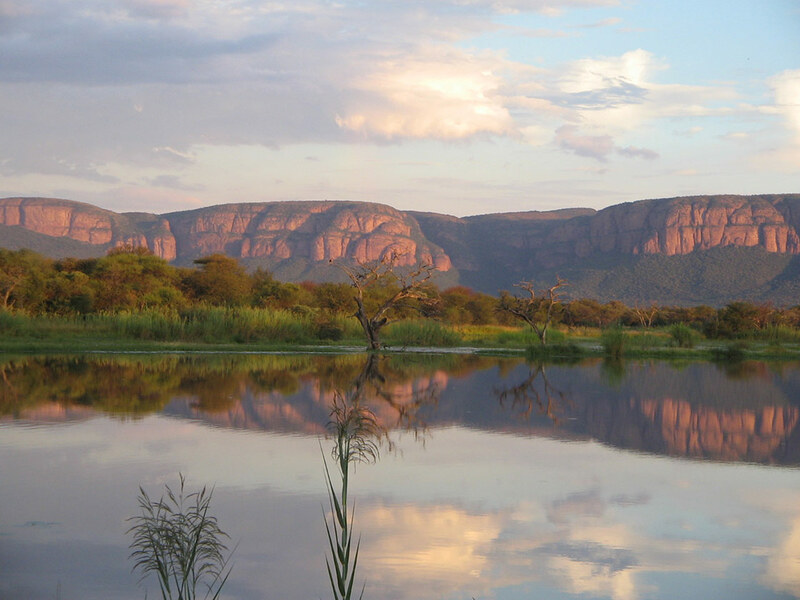 Visitors to Marataba, overwhelmed by the sheer beauty of their bush experience in the lee of the Waterberg Mountains, return time and again to revel in the diversity of animal and birdlife in the malaria-free bush and broadleaf woodlands that cover the reserve’s 23,000 hectares.